"This is not just "energy healing", this is Alignment with The Creator!" ​WHAT IS A METAPHYSICAL HEALING SESSION? THIS NEW UNIVERSAL HEALING ENERGY IS ONE OF THE MOST POWERFUL THAT MANKIND HAS EVER ENCOUNTERED. ​MT Sessions involve healing of the heart, mind, body, muscles, tendons, the whole system is cleansed, rebalanced, allowing us to “live in a body that is functioning at its most optimum levels”. Removing any doubt and fear, giving us the freedom to explore and move to where we truly need to be, to realize our life’s true soul purpose. During a healing our life’s stories are scanned and healing begins by taking away any part of our life’s Story that doesn’t serve us well. The healing is painless, very soothing and extremely relaxing. Aligning your blueprint, repairing your DNA and healing the Auric Field, raising your vibration to a higher level allowing for healing to take place on many levels. The healing energy grounds us and stimulates our thought process, making our thought patterns positive, energized and uplifted. Helping us to think clearly and to feel very grounded. Allowing us to see who we truly are form the inside and this has a knock on effect with our whole life. MT is a new healing modality but an ancient sacred resonance of the highest order. It is essentially a vibration and frequency from God using healing vibrations, codings and Sacred Geometry. It is very powerful and will transform the lives of those that receive it. It is applied through healing, distantly, in person, attunements, and meditation. MT is Source Frequency. It is Quantum Light, Electro-medicine and Ascension Alignment. The attunement received from the sessions aligns you with the Divine light and conscious vibration of One. It aligns and heals the mind perceived as an individual mind, the ego mind and delivers the Light encrypted Ascension Codings to return the mind to the Divine Mind of One, of Source. It offers one the opportunity of re-integrating the One Consciousness. These sessions re-unites you with your Soul Song​ and re-ignites the flame within. MT is the latest in Energy Medicine /Ascension Assistance using through Source vibration. This Therapy is much more than what many term "energy healing". It is not energy healing it is alignment to the Creator, and alignment to your own Soul Song. MT is not bound to limited energy healing. It has a unique purpose that is here at this time to assist the light evolutionary process for mankind, and is beyond measure. Those that feel ready to embark on their divine vibrational truth will feel drawn to this vibration. There are great transformations that take place when becoming attuned to MT. Trust, believe and be open to receive, in your divine surrendering to the Light of the One. MT is involved in the Bioenergetics* ('*energy flow through living systems') - the Energy transformation with the human system from connection with higher light vibrational codings thus aligning the human vessel with the true light blueprint required for Ascension." This is "Light preparation of the Human Vessel" in all its forms. Feeling is believing. It is the combination of our trusting, opening and believing in an outer dimensional reality, call it Divine Intervention and deep divine connection, that we are able to tap into and begin to heal on many levels. We are awakening to a new state of being, a higher, conscious awareness of the greater reality. The healing frequency is only but a small percentage of what the Frequency is about. 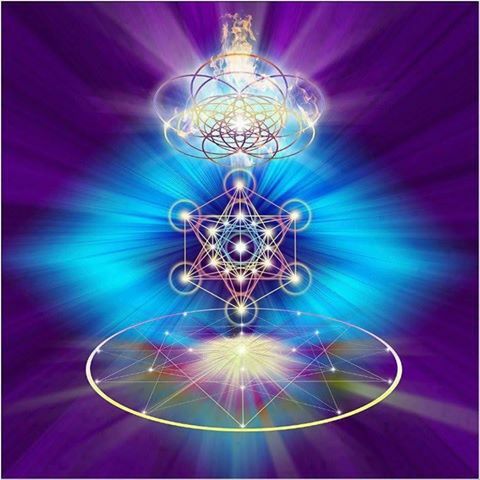 Healing the self, healing others through linking with Metatron and Sacred Geometric Codings. There is other major work going on within the self, for each and every one of you, bringing about many changes on all levels, mental, emotional, physical and spiritual. Aligning your Soul Core Resonance. This occurs through "Vibrational Light embodiment regenerative stages." Metatron corrects the entropic mind matrix (isolated lower consciousness, Dissolving distorted thought patterns. Unwinds Guilt and Judgement, a "Return to Innocence"
Feelings of being "plugged back in" and/or "re-booted"
Return to the "Law of Grace"
The healing session takes one hour and they are done through distance. At the time of your session you will go lay down and I will begin the session. After about 45 minutes, you can then get up slowly, I recommend drinking a glass of water immediately after. Everyone experiences the healing energy/vibration/codings differently as it is unique to them. Feeling tired or feeling energized. Either one is a sign of the healing vibration working with and for you. Losing time – many fall asleep during the session and can be out of it for a few hours. This is usual. It may point to deeper level healing for those who have experienced trauma or abuse on some level or past life memory release. Some may feel a system reboot. It is like switching off a computer. So if you experience a sudden feeling of being out of it/out of body, do not fear, It only lasts a few seconds. Emotional release – tears, anger, heightened emotional state – this is release. As the physical, emotional and mental body release through the divine intervention of Metatron's energy codings . The body needs to do this so it can release the pattern. When it is gone it is gone for good. Dietary changes – can be experienced after the healing session due to Metatron's light vibration as it works to raise your own. Buzzing and body tremors – all sign of release and integration of the Metatronia energy codings/vibrations from Metatron. Discomfort/pain as blockages are released. (These are usually only for a second then they are gone. The body holds onto a lot of history/programming/control mechanism and to work through this the energy has to push through. The discomfort can often be the 3D self putting up resistance. The more you surrender and let go the easier the energy can move through the blockages). MT Therapy is not like other healing systems and it is not bound only to healing vibration and DNA activation. It is so much more. It is updating, on-going, conscious, expanding light codings that are continuously and so uniquely updated in line with the frequency of ascension / awakening for that unique Being (you). It does not stagnate and is moving, pushing, pulsating, releasing, bringing NEW encodings to move and align you with your divine I AM PRESENCE. "The vibrational changes are so divinely put in place in alignment with your soul journey and unique energy and DNA codings. that these sessions re-unites you with your Soul Song​ and re-ignites the flame within! It is Divine Alignment of your Soul's Purpose and True Identity, many times activating innate gifts that have been buried deep within! It goes way beyond just a Healing Session." MT Therapy is a healing energy like no other and I have felt or experienced. It is a very high vibration and really goes to the heart, soul and cells healing on many levels. Uplifting our consciousness and frequency realignment, reconnection with and new energies to move us into the higher realms of source vibration reality. THE SHIFTS ARE OFTEN LIFE CHANGING! This alignment brings transformation on many levels. This alignment will teach you much about your-Self, and release you from your false sense of separation, so that you can begin to resonate with greater awareness in Love, Unity and Oneness. A shift in energy may be felt sometimes immediately and is a process of unwinding and correction of distorted energy patterns. Self Love and patience is necessary to allow for these transformations to occur with the greatest ease, joy and grace possible. The Therapy Sessions are painless, very soothing and very relaxing. During your session, you will lay down with eyes closed for 30-60 minutes. You may enjoy playing soft meditative music and candles during your session. Try to avoid alcohol, caffeine or recreational drugs 24 hours before or after your session please. Following your session, please drink plenty of pure water to bring fluids into the body so that toxins can be released and to maintain proper hydration. DNA Activations specific to you uni Genetic Makeup. Everything we need resides within our DNA, it only needs to be unlocked and activated.